Coconut crabs are popular for their enormous size, weighing over 4kg and with legs that can reach over 1 metre. This makes these crabs the biggest land-living Arthropod in the world. They are found throughout Indonesia, Indian Ocean and parts of the Pacific. Although their name indicates that they primarily feed on Coconuts, this is not the case and coconuts make up just a little percentage of their diet plan. They can, however, be found climbing the Coconut Palms and occasionally using a broken coconut shells as security. Recent video has shown a coconut crab hunting a Sea bird! Their powerful claws quickly break the bird's wings and then more crabs that smell the kill will descend on the defenceless bird! The Coconut Crab is the world's biggest Land Arthropod and an exceptionally remarkable looking crab. 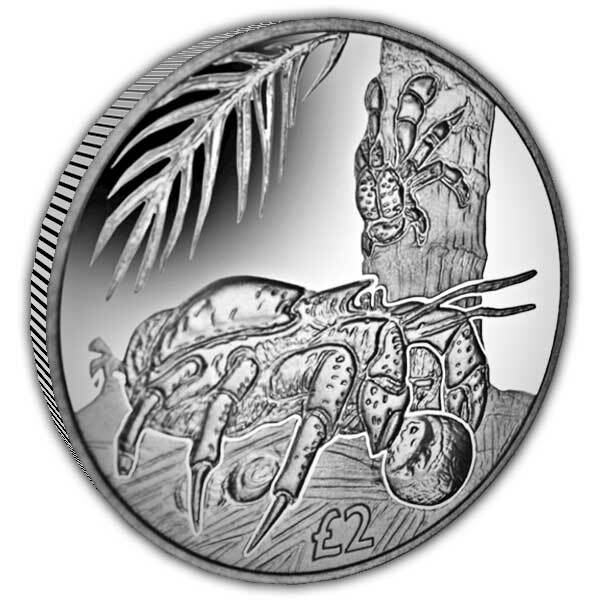 These Crabs are commonly discovered in the British Indian Ocean Territory so we found it more than suitable to issue this coin on their behalf. 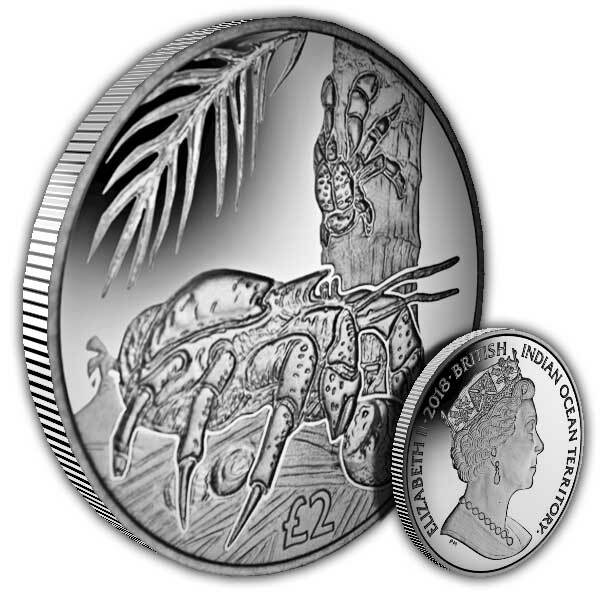 The design shows two big coconut crabs, one on the flooring feasting on the flesh of a coconut and the other climbing a coconut palm. 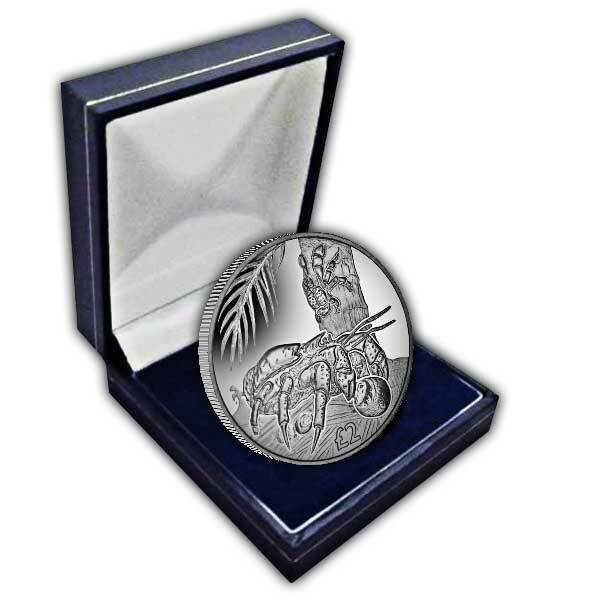 The obverse includes the Pobjoy exclusive effigy design of HM Queen Elizabeth II in remarkable detail. The denomination shown is ₤2.